MIELIZIA selects only beekeepers who work using traditional, consolidated methods; who devote great care to the health of bees; who are fastidious about production and storage of their products and guaranteeing absolute freshness. MIELIZIA has a modern in-house laboratory and works in partnership with specialised external laboratories which constantly test products. 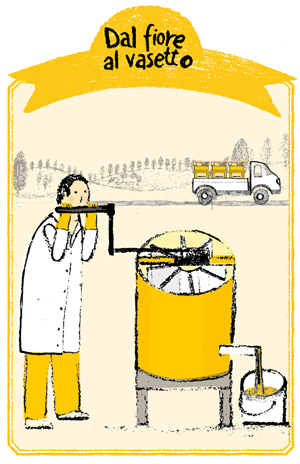 It packs its beekeepers’ honey without subjecting it to any type of pasteurisation. Honey is never allowed to exceed 40°C, the maximum temperature found inside the hive, to preserve the original flavour, aroma and nutritional properties. 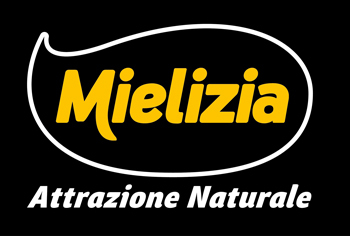 MIELIZIA honey, packed with loving care and respect for the product, is the end result of a vast amount of work, performed first and foremost by the bees, the wonderful insects we tend and work with every day. We, the beekeepers, are like shepherds, looking after these wonderful creatures and creating the best conditions for their survival. In exchange, the bees give us honey, a real treasure from the hive, which must be conserved with care. We only take the surplus honey, not needed by the bee families, from the super frame!